BROCKVILLE, ONT – In traditional sporting circles, the off-season would be considered by most as a time to relax and reflect on what happened during the recently concluded campaign. 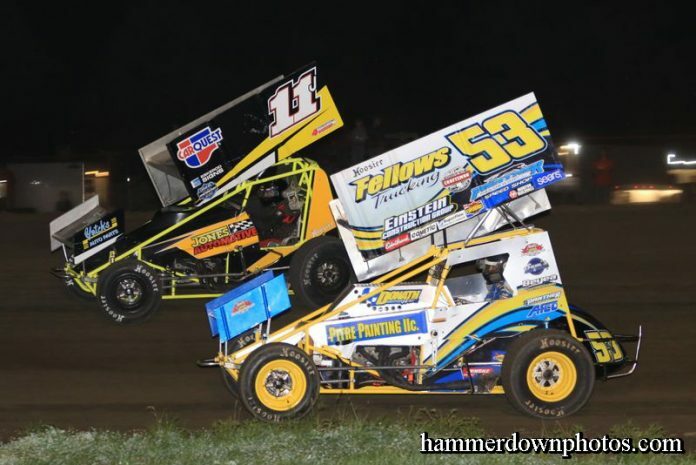 On the local racing scene, drivers and teams look at the end of one schedule as a chance to make sure their equipment is ready and fully prepared for what lies ahead in the next year of action on the track. With a history making 50th anniversary season slated for a Saturday, May 11th green flag, Brockville Ontario Speedway track owner-promoter Paul Kirkland and the management team at The BOS are working hard to put together a memorable campaign to mark the occasion of the venue’s first 5 decades with a number of special events and activities throughout the schedule. Kirkland and his group recently announced that general admission grandstand prices for the Saturday, July 6th Mid-Season Championship will be reduced to 1969 prices to celebrate the track’s 50th anniversary, while main event winners from that show will earn guaranteed starting spots for the season-ending Loud & Dirty Northeast Fall Nationals. There is also a plan in the works that could see the 50th person buying a general admission pass each week escorted to victory lane following the 1000 RV Centre DIRTcar 358 Modified feature and introduced to the winning driver by track announcer Tim Baltz. They’d have their photo taken along with the trophy presentation and be able to pick-up a copy at the souvenir stand during the following week’s race program. Paul Kirkland says the focus this year is on a variety of fan friendly promotions. Saturday night short track news: Because of a scheduling conflict, the free Fan Fest CHEO fundraising event – planned for Saturday, April 20th at Walmart on Parkdale Avenue – has been postponed. A new date will be announced on the track web-site. 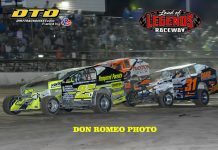 Fans can look to www.brockvillespeedway.com for up to the minute information about 2019’s 50th anniversary season at The BOS. The Brockville Ontario Speedway Facebook and Twitter social media platforms will also provide details about everything that’s going on throughout the year.